There are good school days and there are bad ones. 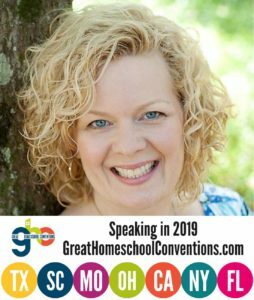 Homeschooling is a bit like Forrest Gump’s box of chocolates — sometimes it is difficult to predict on any given morning which kind of day you are going to get. 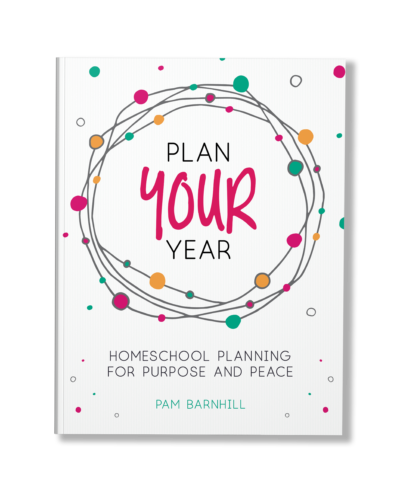 If I have to choose a common element in all of our good homeschool mornings (besides everyone getting enough sleep) it would be that those good days invariably start with the practice we call Morning Time. 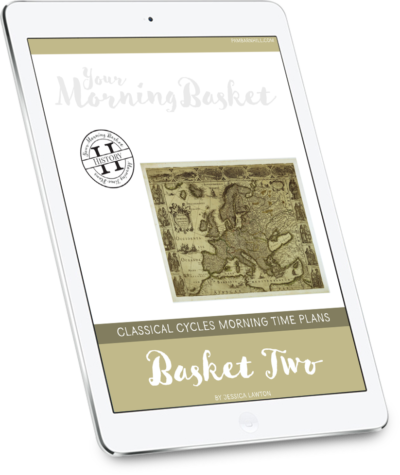 Quite simply, Morning Time contains subjects that the family can do together that emphasize truth, goodness, and beauty in their homeschool. These small practices done daily over time are not only a means to an education (and a good one at that), but a means to shaping virtue in ourselves and in our children. When my family started doing Morning Time my kids were little and it wasn’t quite the homeschool buzz word it is now. There was very little Morning Time pressure in those days — we just liked learning together. Now, it seems that everywhere you turn people are talking about all the riches they are doing in Morning Time. Which is great — except when it starts to stress people out. People are drawn to the ideals of truth, goodness, and beauty, They love the idea of learning in community and making time for subjects they never had time to learn in school. People want to start their day with delight. But it just all seems so overwhelming. It doesn’t have to be. Here is a way to get started successfully with Morning Time and reduce the stress about doing so. Sometimes it is easier to begin a new habit when someone has created a plan for you to follow. This is what we have done with our Morning Time plans. We have a wide variety of plans available (history based, seasonal, preschool, etc) and they include subjects like math enrichment, music appreciation, picture study, and more. 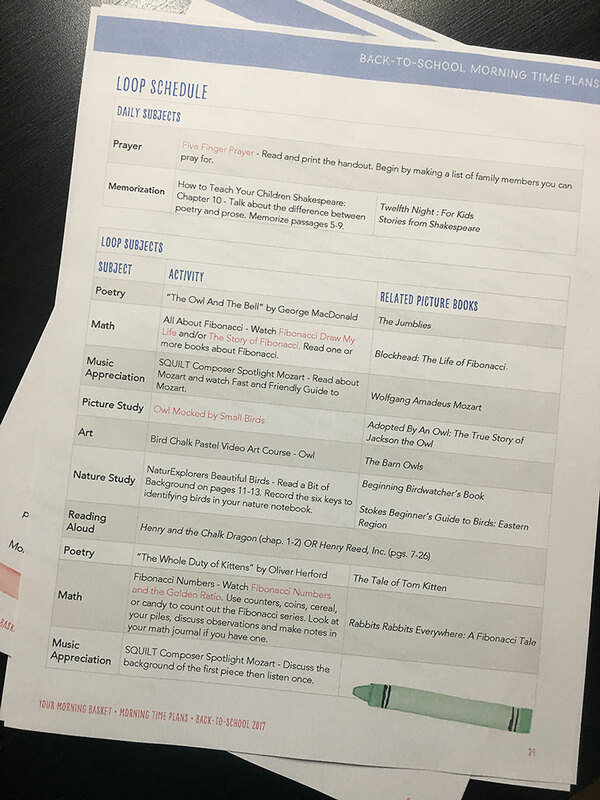 All of the subjects include wonderful book selections, and we have even included read-aloud options to go with the plans. 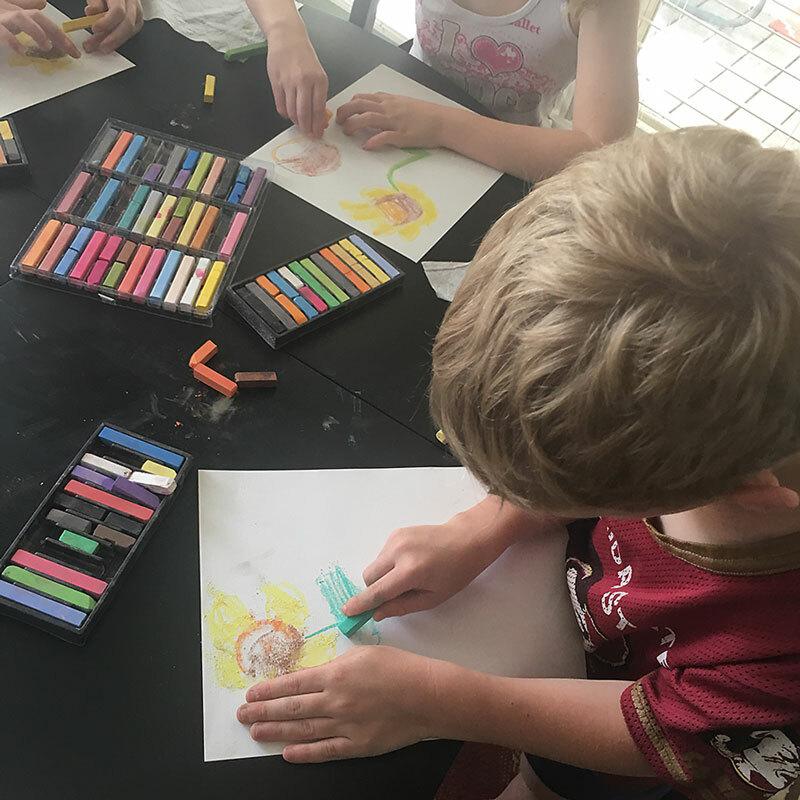 Moms have expressed to us that they are grateful that we have done the daunting work of selecting poems, and they tell us that they no longer have guilt over not doing art with their kids because the art options we provide are doable and low-stress. Beginning a Morning Time habit with ready-made plans takes a large bit of the stress out of just getting started. Don’t be afraid to adjust the plans to meet your family’s needs. Just because something is listed on the plans, it doesn’t mean you can’t have a great experience if you don’t do them exactly as written. So substitute a book from your shelf or another from the library if you can’t find the exact books listed. Has your family never really gotten into formal picture study? Then post the artwork on the wall and just look at it for the week instead of doing anything formal. While it is always good to give every subject a try at least once, there is no harm in leaving subjects out entirely for a season or because they just don’t appeal to your family. 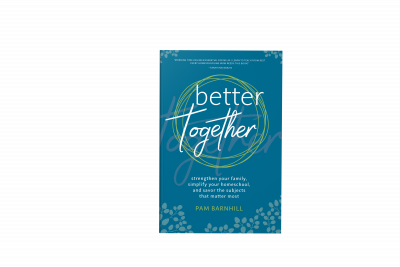 Does your family already have a morning prayer routine? Then use yours and not ours. 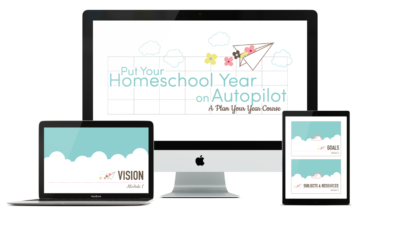 These plans are designed to be a help to you — a tool for your toolbox. Morning Time is about seeing wonder and beauty all around us. It is about family and relationship and shared learning. If it is turning stressful, step back, reevaluate, and begin again. To make it extra easy to start doing Morning Time, we have a sample of our ready-made Morning Time plans for you to try out. 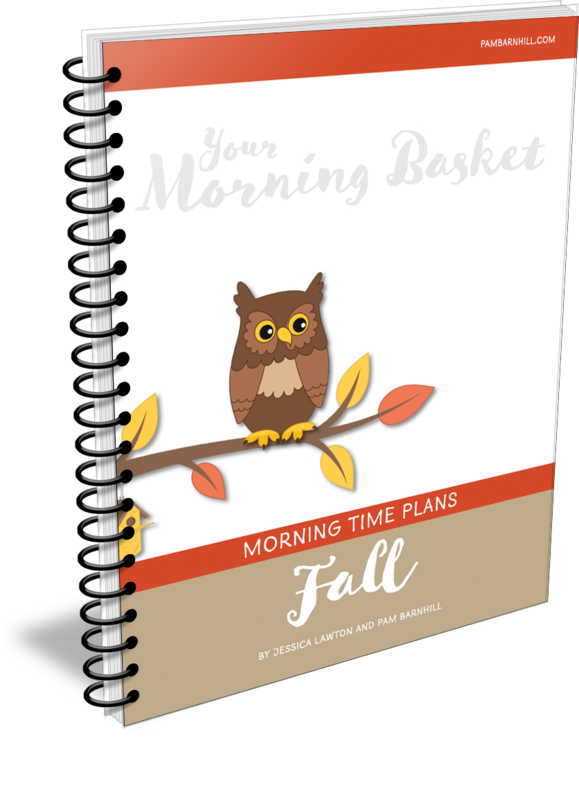 Click here to download our FREE sample month of Morning Time plans. 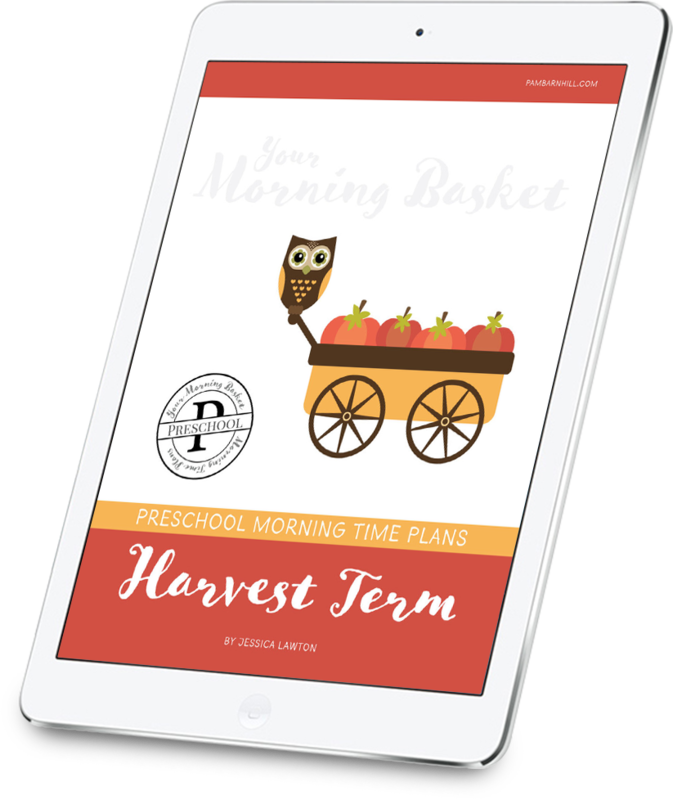 Or if you are the type who likes to jump right in, you can get the Fall Morning Time plans (grades 1-6) or the Preschool Harvest Term (ages 3-5) plans at 30% off by using the code fallmt at checkout. Hurry! This deal ends October 21.